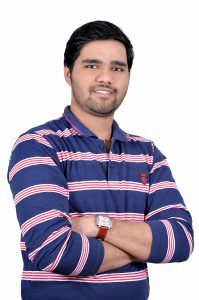 Shubham has completed his graduation in Computer Engineering from Pune University. He is fanatical about Data Science and wants to contribute to the data revolution. He was a data science intern at IIM, Lucknow. He is an avid learner and loves exploring technology. He is diligent and believes that achievement lies beyond our comfort zone. He believes that future is data-driven and Data Science and Analytics will improve and empower the education system. Troubleshooting is his obsession and it is not only confined to work but also his everyday life. He is interested in sports and was awarded a Gold medal in 9th National Choi Kwang Do Championship. He loves to participate in various technical events and group initiatives. He was Junior Mozilla Firefox Ambassador. He has also been a part of entrepreneurial events like Mumbai Start-Up fest 16 and Empresario 2016(IIT E-Cell).